Welcome to IFI Open Day 2015! We are delighted to once again open our doors to you, the public, so you can sample all that the IFI has to offer with a programme that is more jampacked than ever! On Saturday, June 20th, we’ll not only be showing FREE sneak previews, old favourites and archive films throughout the day, not to mention our ever-popular Audience Choice feature, you will also have a chance to go behind the scenes at the IFI by taking part in Archive and Projection Tours and checking out our Pop-Up Museum of fascinating cine equipment. Our Archivists will be on hand to explain just what they do and there’ll be a Pop-Up Picture House aswell. Children can join in too, with a Time Machine workshop inspired by our screening of Back to the Future on the day, and lots more activities! Also new to the programme are our special late-night screenings – a perfect Saturday night treat which will cost you nothing. Whether this is your first trip to the IFI or you are a regular visitor, we welcome you to sample what awaits beyond our front door – a fantastic film on one of our three big screens, a quick bite before a movie in the IFI Café Bar, our extensive DVD collection in the IFI Film Shop, the ongoing work of the IFI Irish Film Archive in preserving our cinema heritage or simply an oasis in the middle of busy Temple Bar. We’ll be offering IFI Membership at a discounted rate throughout the day too, allowing you to avail of free cinema tickets, previews and discounts throughout the year, plus a special IFI Open Day competition. 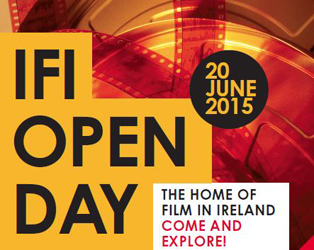 So come along and join us in celebrating the home of film in Ireland – and all for free! Download the full Open Day programme here. Tell your friends you’re coming, share your film reviews and show us your pics via #IFIOpenDay on Twitter and Instagram! Twitter (@IFI_Dub), Facebook (IrishFilmInstitute), Instagram (@IrishFilmInstitute). Tickets for all films will become available at 11am on June 20th at the IFI. Tickets will not be available online or by phone*. Maximum of four tickets per person (all allocated on a first come, first served basis). 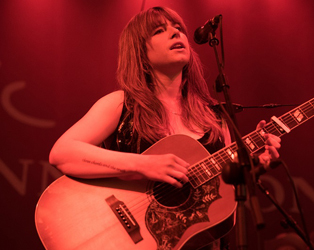 Arrive early as tickets are expected to go quickly! *With the exception of the Archive and Projection Tours, and the Build Your Own Time Machine workshop, which can be booked in advance. The first (and only fully silent) film to win the Oscar for Best Picture, Wings stars Clara Bow as Mary, desperately in love with Jack. He and his hometown rival David join the Air Service, while Mary enlists as an ambulance driver. Featuring breathtaking aerial combat sequences, the film also launched the career of Gary Cooper, appearing in a brief cameo. 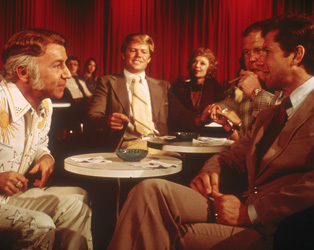 One of the legendary Robert Altman’s greatest films, Nashville is typically sprawling and ambitiously complex, following 24 characters in the titular city over the course of the five days leading up to a major political rally. With an all-star cast, and taking full advantage of its setting in its liberal use of country music, Altman’s loose approach to filmmaking resulted in a masterpiece. Enjoy our Back to the Future 30th anniversary screening: powered by innovative special effects, unforgettable music and non-stop action, Back to the Future is an adventure film that stands the test of time. Join Marty McFly (Michael J. Fox) on a time-shattering quest! Families welcome. See below for our fun family activity as we make our own time machines! John Wayne, James Stewart, Lee Marvin, and Vera Miles star in one of John Ford’s greatest Westerns, in which the story is told, largely in flashback, of how a young, idealistic attorney (Stewart) forged for himself a promising political career after he and Tom Doniphon (Wayne) encouraged a beleaguered townspeople to stand up to the ruthless outlaw Liberty Valance (Marvin). Never given a theatrical release in Ireland, Marco Ferreri’s most notorious film stars Marcello Mastroianni, Michel Piccoli, Philippe Noiret, and Ugo Tognazzi as four friends who gather in a villa intending to eat themselves to death over the course of a weekend. Filled with scatological humour, it’s a work of Buñuellian satire on affluence, consumerism, and greed. 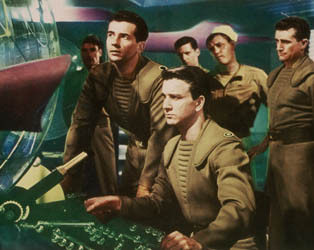 The film that practically set the template for the best sci-fi films of the 1950s and ‘60s, Forbidden Planet manages to work references to Shakespeare’s The Tempest, a ground-breaking electronic score, and the iconic Robby the Robot into the story of a starship captained by Leslie Nielsen, sent to investigate the fate of a scientific expedition to a distant planet. Catherine Deneuve stars alongside Gene Kelly in Jacques Demy’s exuberant love letter to American musicals. 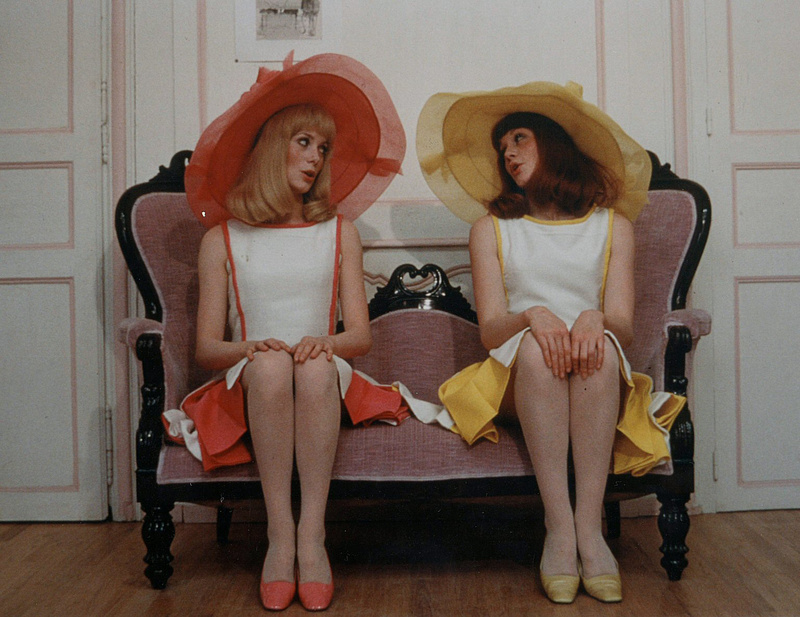 She is Delphine, who, along with twin Solange (Françoise Dorleac, Deneuve’s sister, who died tragically after the film’s release), dreams of love and escape. Meanwhile, their mother runs a café through which similarly lonely characters pass, their love stories eventually becoming intertwined. Continuing our support of Dublin Pride and celebrating the collections of the IFI Irish Film Archive, we present this gem. 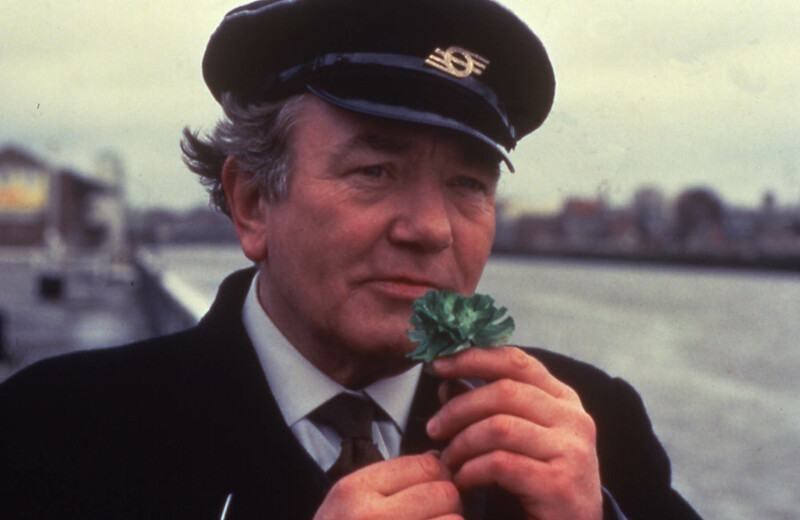 Albert Finney stars as a 1960s bus conductor reluctant to reveal his homosexuality to an unwelcoming Dublin. His attempts to mount a production of Wilde’s Salomé are met with sabotage by friends and family, including Michael Gambon and Brenda Fricker. THE WONDERS (18.30) *PREVIEW SCREENING OF NEW RELEASE! Winner of the Grand Prix at Cannes in 2014, The Wonders is a sweet and humorous coming-of-age tale centred on 12-year-old Gelsomina (Maria Alexandra Lungu), the eldest daughter in a family of beekeepers who, after an encounter with the beautiful actress who hosts a television talent show (Monica Bellucci), vows to get her family on the show as competitors. VOTING FOR THIS YEAR’S AUDIENCE CHOICE HAS NOW CLOSED. The winner of the IFI Audience Choice is Out of Here. This year’s winning film deservedly won Director Donal Foreman JDIFF’s CineTALENT award last spring for his brilliant, zeitgeisty vision of Dublin’s youth. College dropout Ciaran (Fionn Walton) returns from Asia and, over the course of a week, reintroduces himself to friends, family, and the Dublin city he left behind. THANK YOU TO EVERYONE WHO CAST THEIR VOTES! 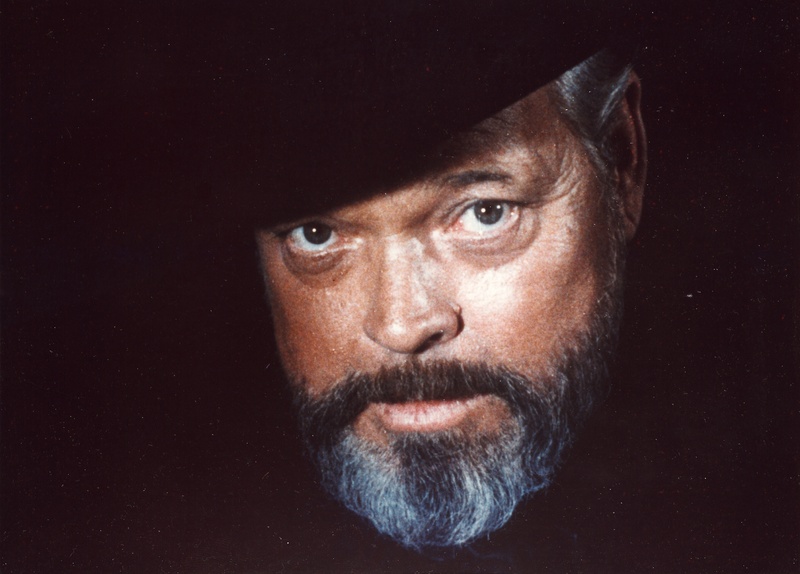 On the occasion of Orson Welles’ centenary, we include this screening of F for Fake, his final completed feature, and one of a number of Welles’ films which will be shown at the IFI over the remainder of the year. Playing with narrative structure and documentary conventions, it examines ideas of authenticity in a manner not always to be trusted. MANGLEHORN (20.50) *PREVIEW SCREENING OF NEW RELEASE! 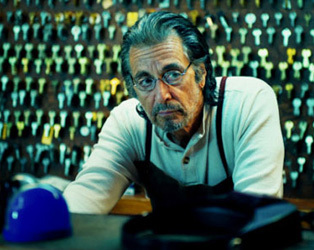 Al Pacino plays a solitary locksmith unable to forget the one who got away. His most successful relationships are with his cat, his young granddaughter, and Gary (a scene-stealing Harmony Korine), who he once coached in baseball. Cautiously but tenaciously pursued by bank teller Dawn (Holly Hunter), he begins to find a more fulfilling place for himself in the world. TUSK (22.35) *PREVIEW SCREENING OF NEW RELEASE! 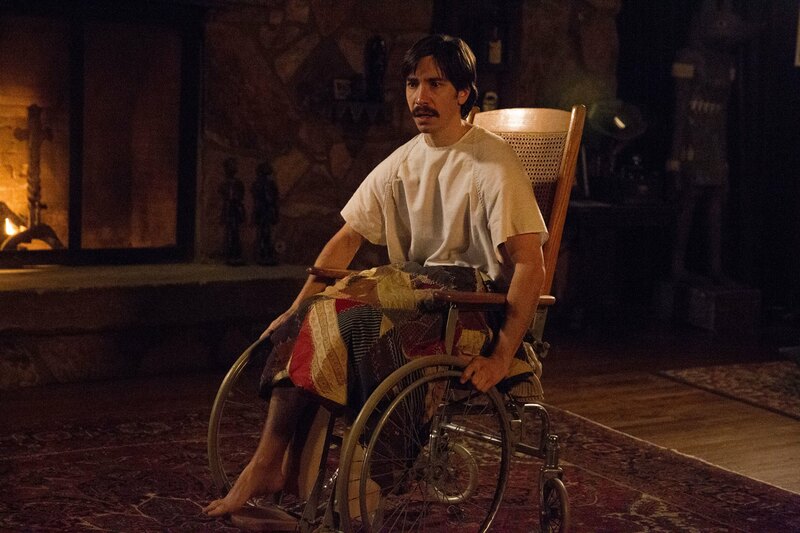 Popular podcaster Wallace (Justin Long), following a random lead to what he hopes will make for an interesting story, is kidnapped by an elderly recluse (the great Michael Parks), who sets about physically transforming his prisoner to resemble a walrus. Kevin Smith brings his trademark razor-sharp dialogue (and some surprise cameos) to a horror-comedy very different from his previous work. 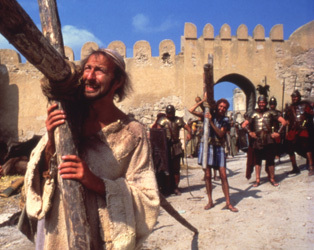 Notoriously banned in Ireland on its initial release, Life of Brian follows its hero, born in the stable next door to Jesus, as he falls in with the People’s Front of Judea’s fight against the Romans, and eventually comes to be mistaken for the Messiah. Hilariously irreverent, surreal, endlessly quotable, it’s arguably the Monty Python team’s finest work. On the exact date of the 40th anniversary of its release, the IFI is pleased to present this special late-night screening of Jaws. 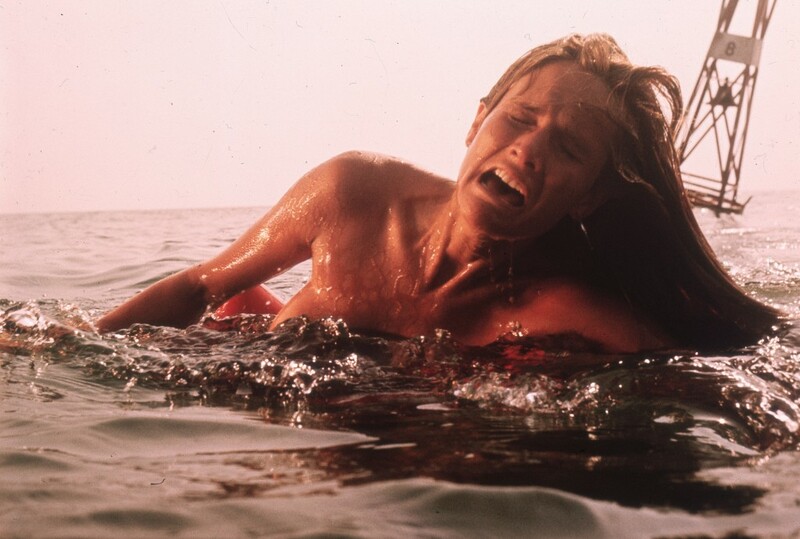 The film that popularised the term ‘blockbuster’, it has lost none of its power to thrill audiences over the decades as it recounts the battle to rid a coastal resort of a killer shark threatening its survival. Throughout the day the IFI Irish Film Archive staff will be on hand to tell you all about the amazing work that goes on behind the scenes in the IFI in order to preserve Ireland’s cinema heritage, There will be a Pop-Up Museum of interesting cine equipment in the Tiernan MacBride library, tours of the vaults and a Pop-Up Picture House showing films from the Archive. At our ‘Ask an Archivist’ desk, you can learn about different film stocks and even get to view and handle film yourself! Please note: Tour times are 11.30, 14.30 and 16.30. Places are limited – pre-book your tickets by emailing Sharon Corrigan (scorrigan@irishfilm.ie) or by calling 01 679 5744. Have you ever wondered what goes on in our Projection booth? Join our projectionist who will show you the inner workings of this busy department and, as the only cinema in Ireland that can show 70mm (as well as 16mm, 35mm and digital, and more! ), it’s a rare opportunity to see just what’s behind that little window at the back of the theatre… Please note: Tour times are 14.00, 15.00, 16.30 and 17.00. Places are limited – pre-book your tickets by emailing Sharon Corrigan (scorrigan@irishfilm.ie) or by calling 01 679 5744. Soak up the atmosphere in the IFI Café Bar throughout the day! We’ll be giving discounts on tea and coffee to ticket holders, and hosting a BBQ in the evening. Don’t forget to check out our extensive DVD collection in the IFI Film Shop, and there will be lots of activity in the foyer all day, with talks and exhibitions for film fans old and new! Do you want to travel ‘back to the future’? Join artist and facilitator Laura Healy in a fun workshop and use an assortment of materials and plenty of imagination to create a time machine, inspired by our screening of Back to the Future. Now we just have to decide what year to travel to… Please note: Workshop time is 12.00. 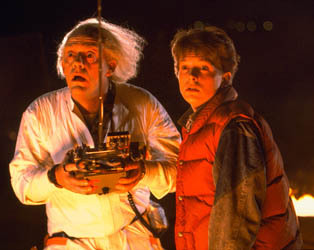 Places are limited – prebook your FREE tickets (including option of tickets to Back to the Future screening, max. 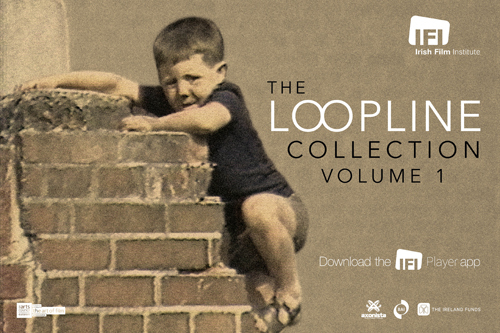 4 per family) by emailing Sharon Corrigan (scorrigan@irishfilm.ie) or by calling 01 679 5744. Look out for young filmmakers, Fresh Film Festival 2015 winner Daragh Goan (Frog Eyes Foley Productions) and Eamonn MacMahon, as they conduct interviews and seek your opinions for a short film, to be broadcast on IFI social media channels and online. Who needs a selfie stick? IFI OPEN DAY SPECIAL OFFER ON IFI MEMBERSHIP – 1 day only! Take advantage of our IFI Open Day Offer and become an IFI Member for less! IFI Membership gives you free film tickets, free screenings, discounts in the IFI Café Bar and IFI Film Shop and double Loyalty Points towards more free tickets! Group Membership: are you a cultural, community, voluntary or non-profit organisation? Join our scheme and receive all IFI Members’ benefits at the discount rate of €20 per person (usually €25). Groups must be minimum ten people. 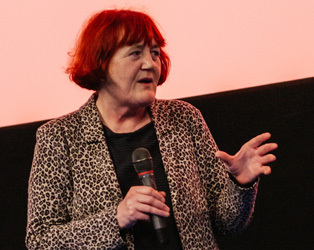 Your IFI Membership helps support the IFI’s vital work in preserving and restoring Ireland’s unique and precious moving image heritage, and engaging young people through our national education programme, as well as continuing to provide the best Irish, international and independent cinema for audiences to enjoy year round. Come along to the Open Day and discover more about the IFI’s Film, Archive and Education work. Find out about our new Friends’ Scheme and lots more ways to get involved. The home of film in Ireland. Be part of it.